With essays that span the devastating effects of financial inequality and globalization and a new novel on climate change disaster, John Lanchester is becoming the central voice for the end of the world. But such serious business also requires a kind of trickery. Lanchester’s fifth novel, The Wall, lives just as comfortably between the lowbrow and the high, between instruction and entertainment. It has been compared to the HBO series, owing to some obvious parallels. More salient, though, is the echo of Anglo-Saxon obsessions in our own existential alarm. “A lot of people thought then that the world was going to end in the year 1000,” Lanchester said. 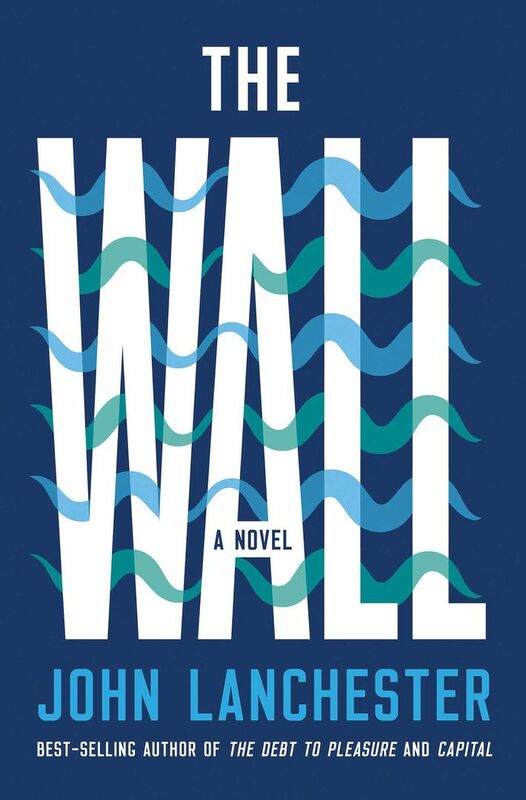 “That was a huge thing all across Europe.” The Wall extrapolates the effects of climate change, our own impending apocalypse, following a young man who guards an enormous seawall after societal collapse. The United States used to have do-it-all writers: John Updike, Norman Mailer, James Baldwin, Mary McCarthy, Joan Didion. So, too, did England, with the likes of George Orwell and Evelyn Waugh. But the idea today that one might be, like Lanchester, a first-rate novelist, a mischievous food writer, a skilled financial reporter, a burgeoning climate-change expert, and a memoirist all at once would be generally met with confusion or scorn. And yet, this is precisely the kind of writer we need in desperate times: someone who can go deep into the subjects we would rather not think about, presenting them with both investigative rigor and human pathos. Something else sets Lanchester apart from crossover literary personalities of yore. He has the ability to deflect — and to notice, too, when most people want to look away from the truth. (He has a “deep sympathy” for climate-change deniers.) He knows where to find the most pressing emergencies facing humanity, as he’s proven time and again with his nonfiction. But, crucially, in his fiction, he also knows when and how people tend to avoid the toughest topics. A central goal of his recent novels — which grounds them in cold reality — is to draw attention to what we might otherwise not want to notice: What are the lies that we must tell ourselves? What must we believe in order to cope with the world? Questions that, perhaps unsurprisingly, spring directly from his own life. John Henry Lanchester was born in Hamburg in 1962. He was an only child. His father, Bill, was a banker at the Hongkong and Shanghai Banking Corporation, and his mother, whom he knew as Julie, was a homemaker. The family moved frequently, going from what was then called Rangoon to Calcutta to Labuan before settling in Hong Kong. At the age of 10, Lanchester matriculated at Gresham’s, a boarding school in Norfolk, a world away. Early on, Lanchester began to suspect something wasn’t entirely right with his family, even if he couldn’t say why or what. “My parents didn’t much go in for directly telling me things,” he reflected later in his memoir, Family Romance. His mother, born Julia Gunnigan, grew up on a farm in County Mayo, Ireland. At 16, she went to a Catholic boarding school to become a nun, but returned home after only a year — and was shunned by her parents as a result. Years later, she wound up in Dublin, became a nurse, worked in a tuberculosis sanatorium, contracted the disease herself, then met and fell in love with another patient. Just before their wedding, he died abruptly. Thinking it was perhaps a sign from God, she returned to the convent and succeeded this time in becoming a nun. After 15 years of missionary work, mostly in India, she moved to London and fell in love once more. This second man disappeared. The next man with whom she fell in love, Bill, became her husband for the rest of her life. Only close to the end of it would she let him in on the central secret of her existence. Born in Cape Town, South Africa, Bill had always wanted a large family. Julie was already 40 and assumed that she wouldn’t be able to provide one. But she lied to Bill, telling him she was only 31. She used her younger sister Dilly’s papers to get a fraudulent British passport. Fearing her family might expose her, she broke with them completely; in order to keep her story straight, she omitted her missionary work from discussions of her life. Nine years had to disappear. The Lanchester family referred to her deflections as the “Enquiry Suppression Field.” There was an understanding that large swaths of her life were simply not to be discussed. It was only after John’s mother died in 1998 that he spoke to his aunt Peggie. With his mother’s conflicting passport and birth certificate in hand, he unraveled the truth. There are many things one could say about how all of this relates to John Lanchester. You could argue that it inspired the investigative prowess that makes his nonfiction so spellbinding, that it brought him to terms with the many secrets and duplicities of the world that he shows in his fiction. But it also demonstrates how we are all reticent to know the less pleasant truths of our lives. Lanchester worked through this deceit with both therapy and the partial shield of research and book writing. But, in his memoir, even as he is engaging with his own history, there is a feeling that he is looking at it indirectly. When, for instance, he calls his father “one of the best men I have known,” it comes off as a professional eulogy, not a wholly intimate expression of love. Characters with secrets or double lives populate Lanchester’s fiction. His debut novel, The Debt to Pleasure, published when he was 34, follows a deceptive, Humbert Humbert–like character named Rodney “Tarquin” Winot who explains his murders in florid prose. “Tarquin pirouettes before us, gaudy as a firebird,” wrote John Banville in a review, “unaware that all the time his poor, blackened heart is on his sleeve for all to see.” In Lanchester’s second novel, Mr. Phillips, a married accountant who’s just been fired spends a day becoming enmeshed in friendships with strangers, like a pornographer and a bungee jumper, eventually stumbling into a bank robbery. Even in his more idea-driven fourth novel, Capital, about the gentrification and socioeconomic change of one street in London, duplicitous characters are pervasive. The most significant is an artist called Smitty — seemingly inspired by Banksy — who deceives even his own family about his work and identity. Capital was Lanchester’s first novel to successfully scale up his concerns from the individual to the societal; he had tried with his third novel, the weaker Fragrant Harbour, about Hong Kong and colonialism. But Capital considers the macroeconomic forces of global finance and their consequences on individuals, allowing Lanchester’s journalistic concerns to seep fully into his fiction.